As the leader of a mercenary company of bowmen and men-at-arms, Thomas of Hookton has done well in Gascony since the Battle of Crécy. His men, known as the Hellequin (a.k.a. the devil's souls), have reinforced their reputation. They are fierce allies while working for French nobles to settle petty disputes. They are dangerous adversaries while raiding the French countryside. They have also collected a small fortune, enough for most of them to retire comfortably. Unfortunately for them, like most Englishmen in Gascony during the Hundred Years War between the Kingdom of England and Kingdom of France, Sir Thomas Hookton is still bound to service. His lord, William de Bohun, 1st Earl of Northampton, sends word that Thomas is to find a sacred sword that can tip the balance of the power in France from King Jean II to Edward, Prince Of Wales, once and for all. Not all quests were led by knights; some were undertaken by archers. When Bernard Cornwell first introduced Sir Thomas Hookton in The Hundred Years War, he was tasked to find the Holy Grail. This time, he must find the Sword of Saint Peter (a.k.a. la Malice), sacred because it was the sword used by Apostle Peter to defend Jesus from arrest in the Garden of Gethsemane. Of course, some say the sword is cursed because after Peter cut off the ear of the high priest's servant Malchus, Jesus criticized the act and told his Apostles not to resist. But the history of the artifact and the importance of faith in the middle ages are very different discussions. Possessing such a blade in 1356 would be akin to owning Cherubim or Excalibur. And to everyone, that meant an assured victory. That is, it means something to everyone except Thomas. He doesn't believe the sword has any power beyond its ability to beguile men in the name of faith. But what he believes does not matter. He is still honor bound to his lord to locate the relic while settling a grudge with the Count of Labrouillade. Cornwell reimagines multiple perspectives from the middle ages. Although Thomas is clearly the protagonist, Cornwell broadens the scope of the story by taking up the viewpoints on every side for the fray. Doing so creates an epic feel, providing some unique insights across standing, station, and heritage. There is Roland, a French virgin knight who tries to understand chivalry in a era where honor is waning; Sir William Douglas, a Scotsman who hopes to capture the Prince Of Wales and force a ransom exchange that will free the King of Scotland; and the nefarious Cardinal Bessieres, the papal legate to the throne of France who has an ambition to be the next Pope. All of them are brought to life, as are common men like the young archer Sam and young friar named Michael and the noble men who decide their fates, Prince Edward and Dauphin Charles Vamong them. Such striking contrasts both work well and distract from Cornwell's story. They work because it creates a complete sense of social and religious connections in 1356. They distract because it often forces the author to sloppily tie up loose ends. As soon as the dust settles, Cornwell sometimes unceremoniously reveals someone's fate with no more than a passing line. Likewise, some of his supporting plot lines feel roughed up by the end. Even as important as the la Malice plot line seems to be, it becomes largely matter of fact in the Battle of Poitiers. The sword, like many characters, quickly gives up the stage to history. 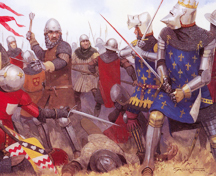 Fortunately, history is something that Cornwell does well, especially in painting the Battle Of Poitiers as one of three great English victories during the Hundred Years War. After Prince Edward's outnumbered and under supplied army traps itself upon a hill, the advantage clearly belonged to the French. But by the end of that crisp September day, Poitiers would end as tragically as Agincourt. A couple of graphs about Bernard Cornwell. 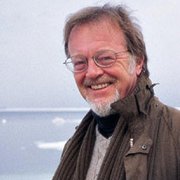 Bernard Cornwell was born in London in 1944 and adopted by a family in Essex. As soon as Cornwell could leave their care, he enrolled in London University and, after a stint as a teacher, joined BBC Television. It was his work as a researcher that gave him a strong background as a historical writer. Ironically, Cornwell may have never became an author, but after he fell in love with an American and could not get a green card in the United States, all he could do was write. He has written several series since. 1356 By Bernard Cornwell Slashes 8.2 On The Liquid Hip Richter Scale. 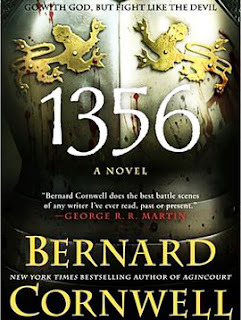 1356: A Novel by Bernard Cornwell is available at Amazon or can be downloaded for iBooks. 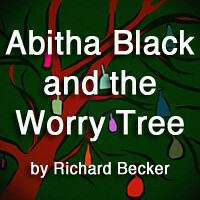 The audio version, narrated by Jack Hawkins, brings the historic story to life. In many instances, comparing the written literary line to the interpretive enthusiasm of the narrator, it is Hawkins who makes it all better. 1356 can also be ordered from Barnes & Noble. Although the novel loses itself in the Battle Of Poitiers, the standalone expansion of his Thomas of Hookton series is well conceived and entertaining. At times, you'll wish the world view wouldn't infringe on Sir Thomas' independent encounters and adventures.